The Post Games Report of an Olympic Games performs a number of functions. Under the Host City Contract there is a contractual obligation to provide the International Olympic Committee with a full and complete official report on the celebration of the Olympic Games. It is also an opportunity for those responsible for preparing and staging the Games to reflect on the whole of the process and to record it as a legacy and for future use. Lastly, it is a final opportunity for the organisers to present the Games to an international audience and explain how the task of staging the Games was managed. With all of this in mind, and given the immensity of the event, the issue arises of what the Post Games Report should contain. 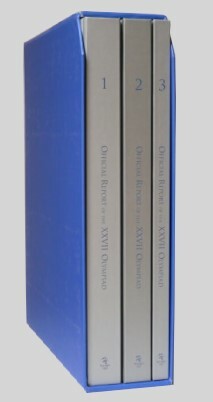 Traditionally, these reports have three volumes: Volume 1 deals with the organisation of the Olympic Games; Volume 2 is an account of the Games themselves and related events; and Volume 3 is the official results of the sport competition. The Sydney 2000 Post Games Report retains these divisions, with Volume 3 being presented as a CD rather than a book. The Report also takes a different approach to Volume 1. The conventional treatment of the material has been to create a catalogue with the content largely divided between the functional areas of the Organising Committee for the Olympic Games (OCOG), with space allocated according to the weighting given to each function. The Sydney 2000 Post Games Report was first conceived in this way but a broader assessment showed that it was inadequate to explain the real process behind the Sydney 2000 Games. Something different was required if we were to explain how Sydney 2000 actually operated. In addition, the context of the report had been significantly altered by the IOC's introduction of the Transfer of Knowledge Program, which is discussed in more detail later. An important influence on the Sydney 2000 Games was the growing awareness of the complexity of the event and its impacts, the need for coordination and in many cases for integration of functions and effort to meet operational demands. This resulted in the progressively more detailed interaction of all of the Olympic agencies in the preparations, and their being drawn together into an integrated response capability which allowed the Games to work effectively. Inevitably this process brought the relevant government agencies into the centre of the action, in partnership with SOCOG. The conventional approach to Volume 1 content could not properly represent this complexity. Indeed, it would provide a distorted picture and fail to capture how the Games really were delivered. Nor could the matter be resolved by simply adding on information about other agencies and functions. The essence of the Sydney experience was the emergence of the integrated model. The Post Games Report had to mirror this in its structure and content or it would neither adequately reflect the reality of Sydney 2000 Games preparations, nor the major lessons to be learned from them. Consequently, Volume 1 of this Post Games Report is structured to bring all of the major threads together in a readable way, and to explain the web of relationships, agreements, control mechanisms and legal provisions which were needed to stage the Games successfully. The content is therefore essentially broad and issues-driven rather than functions-driven. The final resolution of many issues lies, of course, in the detail - and this has not been forgotten. Inevitably, some functional detail could not be included here and can be obtained elsewhere by those who need it. For completeness, a full listing of Games Program areas is given at Appendix A.
Organising the Olympic Games is a huge and complex task which is carried out for each host city largely by people with no previous experience and under the intense scrutiny of local and international media. The IOC provides valuable assistance and advice to host cities but very little knowledge has been provided formally to each new city about staging the Games. The IOC has addressed this issue by implementing the Transfer of Knowledge Program, a joint initiative by the IOC and SOCOG. The Transfer of Knowledge materials form a manual of some 91 program areas, with supporting documentation, which will allow future host cities to look in detail at the planning for those programs and Games-time lessons and experiences. While these materials are not public information, they will provide a valuable resource for future research, as will the records of SOCOG and other Olympic agencies held in the New South Wales Government Archives. It is in this changed context that the Sydney 2000 Post Games Report has been framed. 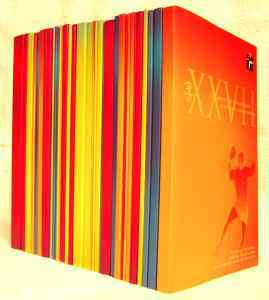 It concentrates on the major issues and themes in Volume 1, illustrates in words and pictures the excitement of the Games in Volume 2, and provides the official competition results in Volume 3. Winning the right to stage an Olympic Games and preparing for the event is a very lengthy process. It begins with a Bid which itself has to be placed in context to explain the range of factors affecting decisions of this kind and to introduce the key players, usually a mixture of Olympic Movement, government and others. This lays the basis for the continuities, institutional, legal and sporting, which are vital to the process. The original Bid framework provides the Organising Committee and other Olympicsspecific entities which come later with their roots and directions. In particular, the direct involvement of government from the outset lays the ground for the significant allocation of resources the Games require, both for infrastructure and services, and for any legislation needed to facilitate their conduct in the unique legal context of a particular host city. All of this was particularly relevant to Sydney because of the New South Wales Government's underwriting of the Games and its consequent exposure and responsibility to the people of the state. It was also the case that most of the support services for the Games, transport, security and medical, for example, were provided by state government agencies, as was development and procurement of venues, and that the Federal Government had vital functions to perform. Chapter 1 describes these forces and their resolution within what has come to be called the Sydney Model. Later in the Volume, the description of the evolution of integrated operations and control structures for Games-time demonstrates the ultimate working through of this process. Volume 1 also documents the preparation and operation of the sporting venues, the provision of transport services that are critical to Games operations, communications in all forms, the interactions with special groups and an assessment of the outcomes and legacies of the Games. It is consciously 'big picture', focuses on the key issues, and is primarily concerned with critical frameworks and processes. In case this leaves the impression of a smooth and predestined evolution, it must be admitted that it was at times a disjointed and difficult process, although over time the major directions that needed to be followed became clearer. Making necessary changes was not always easy and, given the range and number of players and stakeholders, there was inevitably conflict and criticism at times. The ultimate great success of the Sydney 2000 Games and the budgetary control achieved indicate that the directions chosen and the mechanisms put in place were appropriate and sound. Reflection on the process suggests that while there were some unique aspects to the Sydney experience, the fundamental drivers of the process were the huge scale of the event and its impacts on almost every part of the community. This will be true of every other host city. Managing the preparation and staging of an event of this magnitude draws on the full range of resources of the host - intellectual, financial and physical, and the integrated response that Sydney ultimately put in place provides a successful model for consideration. This report is Sydney's account of the Games, written both to document the process and to make a serious contribution to knowledge about the management of the Olympic Games in a large modern city.